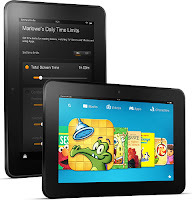 Cheap Mama Chick: $50 off the Kindle Fire HD 8.9"
$50 off the Kindle Fire HD 8.9"
Super Kindle Fire deal from Amazon today! Score $50 off the Kindle Fire HD 8.9" (the BIG fancy one!) when you use FIREHD89 at checkout from Amazon here! Priced from $249 shipped (choose Free Super Saver shipping at checkout). 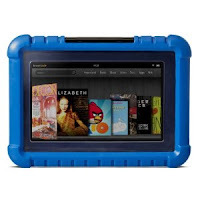 Find this deal today only from Amazon here! Disney Movies up to 50% off! Buy 3 Children's Books Get 1 Free! Buy 2 Dwell toys, get a free Toucan Puzzle!